To explore the field of teaching in Computer Science and Engineering, expand my knowledge by conducting research and contribute to the society. From May 2018 I am working as head of the department of Computer Science and Engineering under the School of Engineering and Computer Science for the second term. This time my goal is to ensure quality in teaching. We are focusing on different outreach programs and trying to attract young students. Sustainable innovation is our agenda and we are trying to blend this concept with the curriculum of the courses. After finishing my PhD I have joined IUB as assistant professor and teaching both graduate and undergraduate students. I supervise the thesis work of undergraduate and graduate students. From December 2013 I am working as head of the department of Computer Science and Engineering under the School of Engineering and Computer Science. The prime objective in this position is to provide strong academic leadership. I need to lead, manage and develop the department so that it achieves highest possible standards. With my leadership the department executes the agreed strategic plan of the university. I have worked as tutor, lab instructor and grader in the University of New South Wales under School of Computer Science and Engineering (CSE). My responsibilities include but not limited to conduct theory, tutorial and lab classes, evaluate the assignments, projects and exam paper of the both graduate and undergraduate students. August 2007 – July 2008, Australian Pacific College (APC), Sydney, Australia. I have worked as lecturer at APC. I was in charge of both theoretical and practical classes for multiple degrees e.g., certificate III, certificate IV and diploma. The courses I have conducted are database, system analysis, project management, software application, Programming, accounting, strategic management and so on. 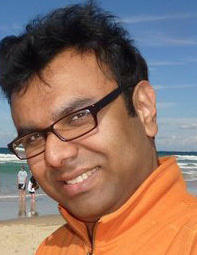 April 2006 – July 2007, James Cook University (JCU), Sydney Campus, Australia. I worked as a lecturer at James Cook University Sydney Campus. My responsibilities include delivering lectures, managing and conducting tutorial and lab classes and evaluating the courses of the master's and undergraduate students. October 2006 – December 2006 Information Technology Training Institute (ITTI), Sydney, Australia. My responsibilities were to produce, verify and validate the IT curriculum for Diploma of Information Technology (Software Development & System Analysis and Design) and Certificate III in Information Technology. The main job was to maintain the standard of ICA05 Information and Communications Technology Training package. April 2006 – May 2007, Information Technology Training Institute (ITTI), Sydney, Australia. I worked as a lecturer at ITTI Sydney campus. My responsibilities include delivering lectures, taking tutorials and conducting lab classes for master's, undergraduate and diploma students. I have taken courses like Advance database, System Analysis and Design, Internet programming, Database Management System, Foundation of computing, Computer Programming. 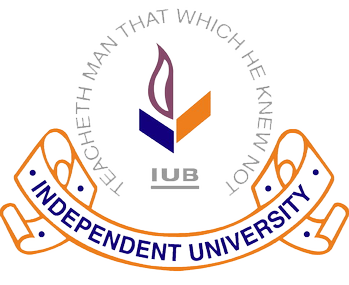 January 2004 – March 2006, Independent University, Bangladesh (IUB). I worked under School of Engineering and Computer Science (SECS) as a Lecturer. Apart from conducting the regular classes for undergraduate students I used to advise the undergraduate students and supervise their internship and senior projects. Courses that I had conducted were Database Management System, Algorithm, Programming concept and Introduction to computer science. September 2002 - March 2003, BRAC University, Bangladesh. I have worked at BRAC University as lecturer under Computer Science and Engineering department. I took both theoretical and practical classes of undergraduate (B.Sc.) students. September 2002 - December 2002, Independent University, Bangladesh. During this period I have taken one course (Data structures) for the undergraduate students of the university. April 2002 - August 2002, BRAC Information Technology Institute (BITI), Bangladesh. My responsibility as coordinator was to coordinate between academics, students and management. I dealt with different issues of the students; maintain the result of all the students; issue certificates and transcripts; coordinate with the responsible authority to change in the course curriculum. March 2001 - April 2002, BRAC Information Technology Institute (BITI), Bangladesh. In this organization my job was to take both theoretical and practical classes of the diploma students. The courses that I had taken were, Introduction to the computers, Data Structure & Algorithm, Operating System, Programming with C, Mathematic & Statistics, Object Oriented Programming with C++, System Analysis & Database design. June 2000 - August 2000, Grameen Software Ltd. (GSL), Bangladesh. My tasks were to develop software user manual, write proposal for software and develop a Human Resource Management System. I worked in a Group to develop the student Registration and Payment System for Grameen Star Education Center. I also worked with the accounting software, payroll system, project management system, testing system and recruitment system of the company.